This light blue mid-size car has a 3.3-liter V-6. 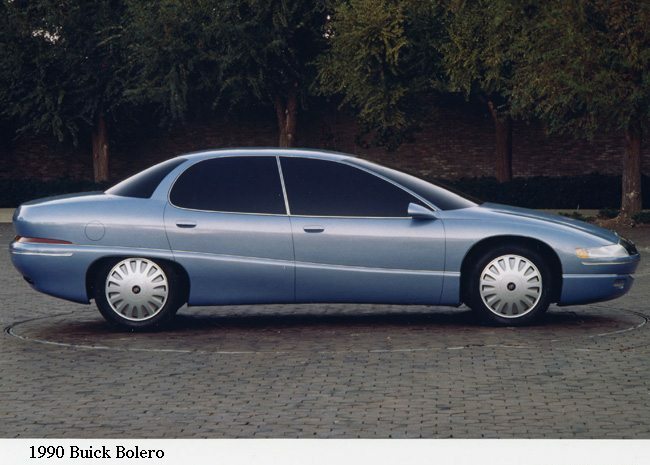 It was considered a teaser for the 1992 Skylark. Its power is suggested by its aerodynamic shape, with a rear deck slightly higher than the hood. It has a steeply raked windshield, vertical-bar grille and smooth lines throughout. The car has a fiber optics light panel extended along the width of the rear, and other fiber optics are used in the instrument panel and doors. Designers had families in mind when they provided a built-in cooler in the rear package shelf, dual cupholders front and rear and portable radio headsets located in the rear of the front seats. Rear passengers could listen to their own music while in the car, and take the radios with them when they left.